Cancer is an emotional roller coaster. At first you might not know how to think about your cancer, how to make decisions about your treatment. The most common emotions that accompany cancer are fear, anxiety, depression, and anger. The moment we first hear our diagnosis has got to be the worst. Cancer is one of the most feared diseases in modern society, regarded by most as a death sentence. A diagnosis of cancer will often leave a person hijacked by illness, fear and a desperate quest to survive. It is common for patients and their entire family to feel lost in a daunting medical landscape in which they struggle to make sense of conflicting advice as they race against time in hopes of saving ones life. This nightmarish story called cancer does not have to end up with death. But you have been set up by the mass media and the entire medical industrial establishment to believe certain things about cancer that could kill you. Your oncologist has been thoroughly hypnotized, conditioned, forced, and intellectually beaten to the point of brain death to believe blindly in medical authorities with financial interests in the pharmaceutical industry. There is an industry and people who are going to make a lot of money off your illness, but what they do not tell you is that their tests, treatments, concepts and opinions are going to threaten you as much as the cancer itself. 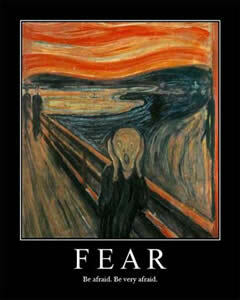 Unfortunately, fear is the primary tool used in the sale of cancer treatments. 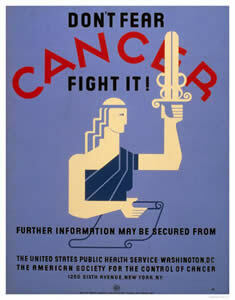 Almost without exception people view the diagnosis of cancer as a type of punishment and injustice, which they initially confront with a sense of powerlessness and there are medical vultures that are going to take advantage of your medical ignorance and use intellectual cattle prods tp push you forward into their grips. This sense of powerlessness however is primarily due to your deliberately cultivated ignorance so now you have to concentrate on catching up, you need to cram intensely like you did in college and learn what you need to learn to face your situation squarely. We do have a lot to fear from cancer. We have seen the devastating effects of chemotherapy and radiation therapy and surgery on family and friends. We have seen the slow lingering deaths with extended periods of severe and debilitating illness, hair loss, weight loss, depression, nausea, etc. But we have to ask ourselves honestly, do we know what we are seeing? These devastating agonies of body and being, are they from the cancer or the treatments? Do you know that oncologists use treatments that cause cancer to treat cancer? Does that make sense? Even their tests, the radiation from their expensive diagnostic machines increase your odds of finding your way into a pine box. Think about it next time you do a PET or CAT scan. This brings us back to the point of acting without fear. Accurate information is probably the best defense against fear. There are many myths about cancer. For example, it’s a myth that a cancer diagnosis is an inexorable death sentence. There are more than 8 million cancer survivors alive today. Act out of knowledge and the odds of your survival will rise dramatically, and the chance of serious side effects to cancer treatment will be minimized meaning you are less likely to surrender yourself to dangerous cancer treatments. It is not easy to communicate without fear in an oncologist’s office because in reality there is a lot to fear at the hands of your oncologist. Read this book and open your mouth about some of its principles and see if that does not get you kicked out of the doctor’s office. When you understand more about medicine, which your doctor will resent especially if your understanding differs from his, you will begin to see the absolute danger you are in. Your ticket to freedom, your escape plan has to be based on knowledge that you gain through serious study. 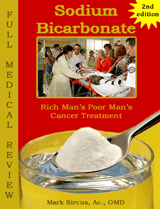 People are surrendering themselves to oncologists who are masquerading as scientists. Ask your oncologist if he will show you a few studies that verify the treatment they are recommending will increase your lifespan, when directly compared to no treatment. Ask him to show you some studies that will verify the treatment he or she is recommending will enhance the quality of your life. You are not interested in studies that show that the chemo or radiation shrinks tumors. Be specific and be sure your oncologist presents studies directly relate to longevity and quality of life compared to no treatment at all. A great question to ask is if you should change your diet or take any vitamins, minerals or other supplements? 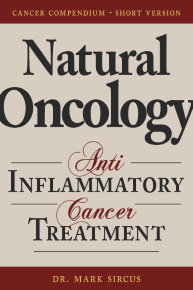 This simple question will tell you immediately if this physician is keeping up with hundreds of study findings from all over the world that have shown dietary changes and supplements that have a direct effect on many types of cancer. Good doctors are never irritated with legitimate questions, and they know how unsure patients are, particularly right after the diagnosis. Unfortunately it is more than difficult to find a good oncologist for orthodox oncologists are deliberately trained to be bad. Worse then bad, they are trained killers. If your doctor does not take the necessary time, then run for the hills and find a healthcare practitioner that will take the necessary time. Lay a trap for your doctor and see how deeply he or she will fall into it. Question him about all the above and then at the right moment pull out of your pocket some of the science you will read in this book. Present it to him with references all at hand and put him on the spot. You will then see his or her true colors. Will they be interested because of the potential to save your and other peoples lives? Are they open to true science and open discussion? If they are then you are sitting in the right office even if you do not select their treatment. A person should run as fast as they can from any doctor or oncologist who cannot and will not listen. Today’s doctors and especially oncologists are not trained to listen; they are trained to deliberately ram their treatments down our throats. The story is horrific and if you could read a hospital’s oncologists mind as you complain about treatment approaches you might overhear his or her thoughts about calling the hospital police to force you into it. In America once you walk through that hospital door you might as well be in a concentration death camp for they have legal ways of forcing treatment on you and your children. Medical fascism is at its worst in the oncology department.